Are You Funding the Titanic? If you are providing funding to non-profit agencies to deliver service in the community, your investment could well be at risk. Non-profit and charitable organizations play a special role in our communities allowing funders to provide money for services while enhancing community benefits and improving the quality of life for many. In these difficult times, it is essential to continue to strengthen or maintain your financial health. The future of your organization depends on it! 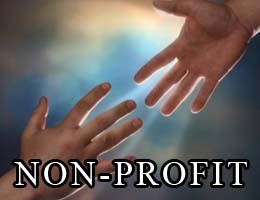 Today’s successful non-profit agencies use every tool at their disposal to enhance their financial health. The reality for most non-profit agencies today is an increasing demand for services as funding shrinks and costs escalate. Organizations that build strong relationships, establish a plan and use their resources wisely will develop a sustainable fundraising function that will enjoy the benefits of this golden age of philanthropy. Funders like to invest their funds in programs or services that make the most of the funds and produce results. An excellent article on the need to focus on long term transformation change & the associated risks. Finance Professionals with practical industry experience in IFRS impact assessment, planning & project management, detailed research, analysis & documentation, director education, management & employee training and communications. technology audit, education, and security. Incorporated in 1944, TORONTO was the eighth IIA Chapter to be formed and is currently the third largest in the world with over 2,600 members behind Houston and New York. The Toronto Chapter represents not only Members of the IIA in the Greater Toronto Area, but it also represents Members of the IIA that reside in South-western Ontario, Northern Ontario, and parts of Eastern Ontario. CMA Canada grants a professional designation in management accounting and regulates its members under the authorization of provincial legislation. CMA Canada, a self-regulating body, maintains the highest standards, practices and professional conduct in management accounting to protect the public interest. 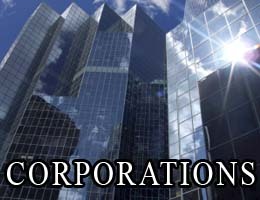 The Committee of Sponsoring Organizations (COSO) is a voluntary private-sector organization dedicated to guiding executive management and governance entities toward the establishment of more effective, efficient, and ethical business operations on a global basis. It sponsors and disseminates frameworks and guidance based on in-depth research, analysis, and best practices. IFAC is the global organization for the accountancy profession. It works with its 157 members and associates in 123 countries and jurisdictions to protect the public interest by encouraging high quality practices by the world’s accountants. IFAC members and associates, which are primarily national professional accountancy bodies, represent 2.5 million accountants employed in public practice, industry and commerce, government, and academia. ISACA’s membership—more than 86,000 strong worldwide—is characterized by its diversity. Members live and work in more than 160 countries and cover a variety of professional IT-related positions—to name just a few, IS auditor, consultant, educator, IS security professional, regulator, chief information officer and internal auditor. They work in nearly all industry categories, including financial and banking, public accounting, government and the public sector, utilities and manufacturing. This diversity enables members to learn from each other, and exchange widely divergent viewpoints on a variety of professional topics. It has long been considered one of ISACA’s strengths. The CICA conducts research into current business issues and supports the setting of accounting, auditing and assurance standards for business, not-for-profit organizations and government. It issues guidance on control and governance, publishes professional literature, develops continuing education programs and represents the CA profession nationally and internationally. CICA is a founding member of the International Federation of Accountants (IFAC) and the Global Accounting Alliance (GAA). Lynn has an in depth understanding of financial issues in the non profit sector. She has been providing consulting services to the not-for- profit sector since 1989 following a career of over twenty years in senior management in a social service organization. Lynn has researched, written and lectured widely on key issues affecting social service organizations particularly in the areas of non-profit finance and restructuring. 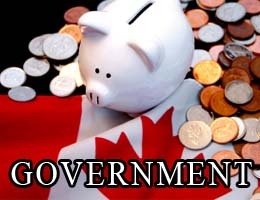 The Office of the Auditor General is an independent audit office serving Ontario’s Legislative Assembly. The Office assists the Legislature in holding the government and its administrators accountable for the administration’s stewardship of public funds and for the achievement of value for money in government and public-sector operations. Thus contributing to better-managed government programs and better accountability to the Legislature and the public. The Secretariat is tasked with providing advice and support to Treasury Board ministers in their role of ensuring value-for-money as well as providing oversight of the financial management functions in departments and agencies. It is also responsible for the comptrollership function of government.